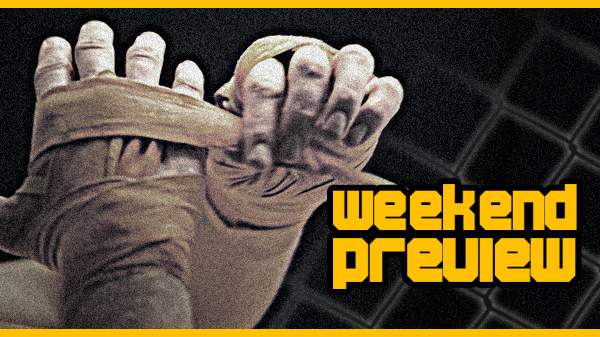 The weekend preview is back! With two amateur shows on the same night and a local pro making a big splash on AXS TV, we couldn't pass up the opportunity to bring back one of our favorite weekly articles. First up, tonight is Alp Ozkilic, who is making his Legacy FC debut against Antonio Banuelos. Brett did a three piece segment on the Turkish flyweight which can be seen on this site. Ozkilic vs Banuelo will be part of the main card kicking off at 8PM on AXS TV. Locally, it's a Sophie's choice (you youngsters will have to google it) for St. Louis MMA on Saturday. Two amateur promotions are hosting events on the same night as they kick off an already jam-packed month of June. Downtown, at the historic South Broadway Athletic Club, Proving Grounds returns with the second round of their lightweight Grand Prix tournament. Four fighters remain and each bring a little something different to the table. Demarco "Buck" Montgomery is a very well-rounded fighter. Montgomery stopped Anthony Livingston back in March to advance in the tournament. Buck comes from the same mold of street-tough fighters from the now-defunct Southside Fight Club. A possible match-up with teammate Prater could make for an interesting finals. Justin Lankford squeaked past Ben Huskic in the first round when an ill-timed shot by Huskic left his neck exposed and Lankford finished with a guillotine. Lankford is a strong wrestler who trains under MMA pioneer Steve Berger. Prediction: Both fighters are have the submissions to stop the fight at any moment If Lankford can effectively use his wrestling to control the fight, it could be a long night for Montgomery. Roye is deceivingly good. Long and lanky, he possesses great submission skills and is quick on his feet in the stand-up. Splitting time at St. Charles MMA, Prater is someone who we have marked as one to watch as he seems to improve every time we see him. The time spent working with local pro Chris Heatherly and his Muay Thai trainer Gerald Rios has really began paying dividends. Prater defeated a the resilient Aaron Brown back in April and hit Brown with some very hard punches. Athleticism and powerful hands are Prater's strengths. Prediction: Prater is our pick to win the tournament, but don't count out Roye in this match-up. 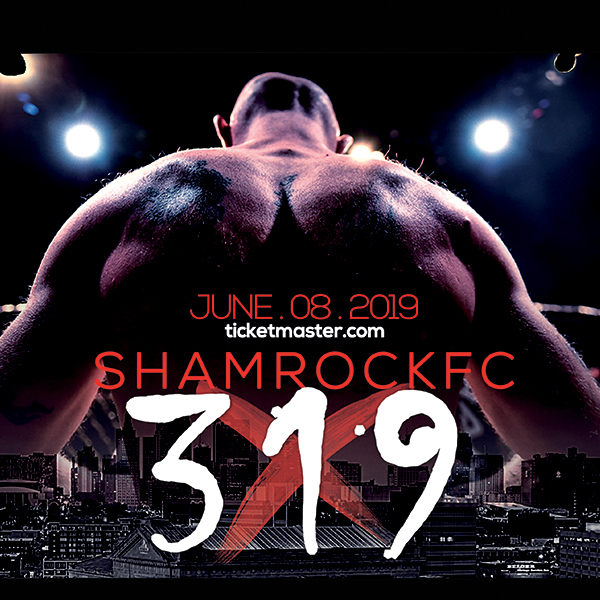 The two battled in a fight of the year nominee last December and this rematch between two of the top young fighters in the area is a good reason to visit SBAC. The main event will feature Zach Wolfe vs Ben Chesser. Wolfe has been on a tear recently improving his undefeated record to 6-0, all coming by way of submission. Chesser is primarily known for his grappling, and could be a stiff test for Wolfe. If you're a fan of Cage Champs, then Sullivan is the place to be on Saturday. Patrick Smith and company return to the Big Eagles Hall. Daniel Schaab vs Denver Sells headline the card. Schaab looked great in his fight last weekend against Eric Vasquez. Schaab used his size and reach to keep his opponent at bay scoring a unanimous decision while taking very little damage. Schaab is taller than most people he's faced and it will be interesting to see how Sells matches up. In the co-main event, John Baxer takes on Dakota Bush. Both fighters are currently undefeated, someone is going home with their first loss. One matchup of particular interest hidden away in the middle of the card is BeeJay Smith vs Tim Graham. Smith, as you may know, is the owner/promoter of the Nemesis Fighting Alliance. Smith originally booked Graham for one of his shows in Fredericktown. Graham decided after entering the cage that he could not compete. A war of words followed on the social networks and ultimately ended up with Smith deciding to make his debut against Graham. Ironically, Graham was scheduled to take on the evening's main event participant Daniel Schaab. Also making his MMA debut is Smith's brother Korey. A heavyweight competitor training out of Berger's MMA. If you're a fan of Cage Championships or if you've ever wanted to see a promoter get punched in the face, then this is the card for you.